The New York City woman who lost a bag containing $10,000 on the subway has been reunited with the cash, thanks to the good Samaritan who brought the money to a police station. A young woman named Aya was heading back to her native Kazakhstan to visit her family and had $10,000 in an envelope in her purse when she accidentally left it on a subway platform, she told reporters Thursday. She said she had the money because it's easier to take out cash here than in Kazakhstan, and she wanted to use it to buy gifts for her family. She never thought she'd get the money back. 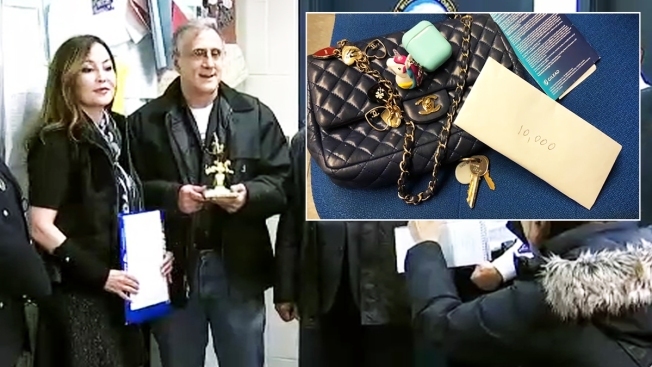 But when Richard Taverna, a retiree from the Upper West Side, found the purse and envelope at the West 66th Street and Broadway station last month, he brought it to the 20th Precinct station the next morning. He said cops were shocked when he told them what was inside. 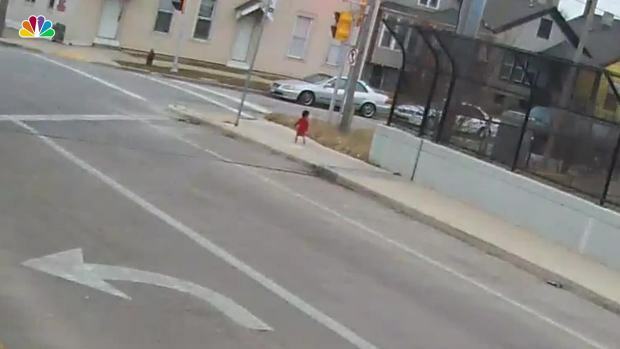 "'I found this bag,' she said 'OK,'" Taverna recounted his conversation with an officer when he went to the station. "'I found it in the subway'; she said 'OK.'" "Then I said, 'Oh. and by the way, it has $10,000 in it.' And she turned and said, 'Sarge! Come here!'" he said. An NYPD deputy inspector said all the officers in the station were talking about it -- and proud of Taverna for doing the right thing. Taverna said there was never any question about returning the money. He was happy to do it and didn't realize it would lead to so much attention. Aya was able to pick up the cash Thursday after returning from vacation. Through a translator, Aya said she was extremely grateful to Taverna and that his action spoke to the goodness of Americans. She gave him a small trophy of an important Kazakh symbol as a thank you.